It's often referred to as the best $100 camera drone, and does in fact cost $100. However, to get it to the point of usability that most other drones offer out of the box, you need to buy a $35 controller, $5 app, and $15 range extender. 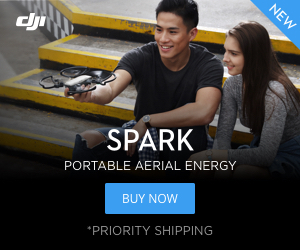 That pushes its cost to $150+, a price-point at which you start finding things like larger drones, brushless motors, 1080p cameras, electronic gimbals (for adjusting angle), SD cards, GPS, much longer ranges, or multiple batteries (not all at the same time). As far as I can tell, the Tello still has the best image stabilization of any drone available under $200, but I suspect you could take shaky 1080p footage and use simple video software to stabilize it down to 720p (or better) on your phone or computer to smooth things out after the fact. Again, I still really enjoy this drone and do think it's a good value, just maybe not the pinnacle of value for beginners that so many people seem to tout it as. What are your thoughts? "That pushes its cost to $150+, a price-point at which you start finding things like larger drones, brushless motors, 1080p cameras, electronic gimbals (for adjusting angle), SD cards, GPS, much longer ranges, or multiple batteries (not all at the same time)." Can anyone name a few drones at the $150 price point that have some or all of these additional features? On paper, they look very interesting. Has anyone here ever used one of these and how do they stack up to their descriptions or to the Tello with an app like TelloFPV? Captain Drone has and did a pretty good review on all of them. JJRC X9 is about $160. It has a 1080p camera, 2 axis stabilized gimbal, sd card, GPS, optical flow, 5 Ghz wifi, 2.4 Ghz remote, supposedly 1 km range with the controller (highly unlikely, but even half that destroys Tello), and up to 300 m range for FPV (again, unlikely, but still further than Tello), and brushless motors. Seems to have poor quality control, however. SJRC Z5 is about $110. It has a 1080p camera with electronic gimbal (up/down only), sd card, GPS + Glonass, 5 Ghz wifi, 2.4 Ghz remote, supposedly 400 m FPV range (unlikely), 600 m with controller, 14 min real-world flight time (from YouTube reviews), and for an extra $30 - putting it at $140 - you can get 2 additional batteries. I wonder if anyone has ever compared them (as opposed to reviewed each), or produced any sort of pro/con list including the Tello. Price is obviouly easy to compare but there are so many features. For example, of the 3 drones reviewed by Captain Drone (ref above), none have any sort of VPS as does the Tello. This makes indoor flying and stabilization more of an issue. On the other hand those 3 particular drones have GPS and a (non-stabilized gimbal) making it possible to adjust the camera angle. Some of the ones I listed have optical flow, which is VPS. As an extra bonus, the Wingsland M1 is down to $175. It may not be the greatest, but it was a low-end commercial drone a few years ago. It's got substantial size and a 3-axis stabilized gimbal. Tello is considered by most passers by a cute flying toy. It doesn't draw unwanted attention. You can fly in what is considered a NFZ for the big birds and while still illegal nobody will send you to jail (like at a party, festival, racetrack, music event, or just some residential area which does not allow drones,etc NOT at an airport). I live in what is a NFZ strictly speaking, because some totally unimportant infrastructure stuff is 2km away. I wouldn't fly a big drone here but nobody cares about Tello. Tello is a perfect travel drone: If you take off the props you can put it in a tiny kids lunchbox (Tupper) together with 4 batteries and spare props. That box can be stuffed into any bag and survive even the harshest trip (OK, if you want to drown it, you should go for an otter or pelican case). Yes you need a $5 app (of course you do !) , and yes you need a Wifi extender. But my Xiaomi Wifi2 cost $4 straight from china. Just a set of props for the bigger drones cost more. Personally I don't need a controller when travelling, as smartphone is good enough if I set the onscreen joysticks to max size. If people do need a controller, they often can use an old (free) gamepad. Now if you look at the $99 combo with additional batteries, the other drones will cost more if you match the flight time. So its $104 for a Tello with range extender, controller, and batteries worth 54min flight time. Not saying Tello is perfect, but I wouldn't want to exchange it for the other drones mentioned. Its a perfect travel drone: If you take off the props you can put it in a tiny kids lunchbox together with 4 batteries and spare props. That box can be stuffed into any bag and survive even the harshest trip (OK, if you want to drown it, you should go for an otter or pelican case). You can't take shaky 4k and make it smooth 720p. Stabilizing is not about resolution, but about field of view. I got the Xiaomi Wifi2 as well (I like their products so far), but since I wasn't willing to wait 3 weeks for it from China, I had to pay $13 on Amazon. Let me be clear: the apps are certainly worth $5, even if the Tello app worked as expected. Thank you for all your work! As a consumer, it's just a frustrating and silly expense to require that purchase just to get something as simple as recording video and photos - something the drone was made for - to work properly. You bring up some good points about the size, portability, and the gamepad if everything works out and those things are important to you. Personally, I don't like driving with touchscreens. I don't play real time games on phones for that reason either. Unfortunately, my phone refuses to recognize my PS3 controller despite having an OTG cable and my only wired 360 controller has a messed up right stick which could cause issues flying the drone. I have no PC controller or newer systems, so if I want a physical controller I'm stuck buying a new one. Many people could probably use what they have laying around, but most drones come with a dedicated controller so it's not something you ever even need to worry about. To me, the small size of the drone is unimportant. In fact, I'd prefer a bigger one. Having 2 toddlers and basically no disposable income, I don't get to travel for anything other than work anymore . However, I do live a couple miles from the beach and there is always a breeze. Get above the roof of the single-story houses and it's enough to blow smaller drones noticeably off course. I haven't done that with the Tello yet but I'm concerned of what will happen to it. I'm also more interested in the camera aspects than I am FPV, so being able to do FPV without a spotter isn't of any real interest to me either. You're right in that you'll have to reduce the FOV for the stabilization, but having the greater pixel count will allow you to still easily maintain a clear image. If you're only starting with a 720p image and have to lose 10% of the pixels from a side, then scale it back to 720p it's going to lose clarity as well as FOV. If you have a lot of extra pixels you'll just lose FOV, not clarity. I think the Tello starts with a 1080 image and stabilizes down to 720 so there isn't clarity loss. That means all the drones listed above could get you 720 video similar to the Tello's after EIS. The 4k ones should be able to easily get you undistorted 1080. Granted, you'll have to annoyingly spend the time to run the videos through a computer first. Also, several of these drones have a 120 degree FOV. I believe that Tello has around 85 after EIS. So you could lose a lot of the image and still see what the Tello reports back. I have only owned tello for a week, and I had the same thoughts about actual cost before I bought it.....controller cost is questionable as I quite like using my phone and don't think the 40 cost is needed....100 for tello, 10 can for xiaomi, and 25 for an extra battery....so 135 total..cdn....prob 105 usd.....at that price i was very comfortable with what I was getting, and wouldn't be super upset if I destroyed it somehow from lack of drone experience. Size and portability was also a big plus for me. When it came out, it was a deal for the $. On Feb 5, 2019, not anymore. When it came out, it had features never heard of at this price range, at the time. The only competition was the parrot Mambo and the Mii. The Tello outperformed both. Yeah, I know it was an amazing deal when it first came out. I think it's still a good deal, but I'm curious how others feel it holds up today, and if there's anything that beats it. It does still seem to have the most stable image / best EIS or OIS for anything under $200, though there's a few that used to be much more expensive that can compete there now. I think it's time for the price to fall. $99 is a bit much, with all the competition. Or better yet, maintain the price but add some of the most desired features. That would be nice but I think it's closer to $200 ($99-Tello, Xaomi-$12, Controller-$35, 3 extra batteries-$51). This combo was $99 before Xmas. Now back to 149. Was advertised on several FB groups. I paid $4 for the wifi extender, shipping was around 2 weeks so reasonable. If you chose to order it locally then you have to pay a premium of course. But then to be fair you'd have to buy the other drones & accessories locally, too. In that case the prices will be different I guess. Anyway you just seem to be unhappy with what you got for your money. And you don't seem to want what Tello has to offer, but something different. No problem, maybe just return it and move on. I have owned enough drones over the years to know when I found a gem, and Tello is one (for me). EDIT: Just found the boost combo has 3 batteries in total, not 4. So total flight time 39min. @volatello I'm not sure who that was directed at but I for one am quite happy with the Tello's value and especially your software. Nonetheless, the package with controller and Wifi extender is close to $200 which Is why I was curious about what others thought that could buy in today's competitive drone marketplace. I like the size and weight of the Tello and especially its price. Do I miss not having an onboard SD card and a camera on a gimbal, sure, but that just means that at some point I may spring for Tello 2 or some other drone. Another plus that Tello have and most of the biggest drones can only dream is the great SDK ! Totally agree @volate!lo. Tello is worth its weight in gold.